The Joy of Tech Goodies! 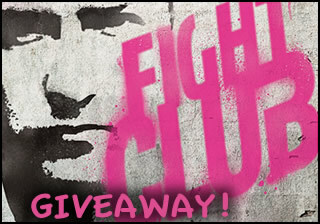 Fight Club Blu-ray Disc giveaway! Fight Club 10th anniversary edition! Time for another great giveaway! 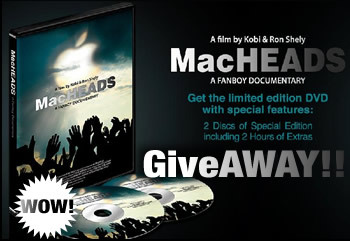 And this time we are giving away MACHEADS! 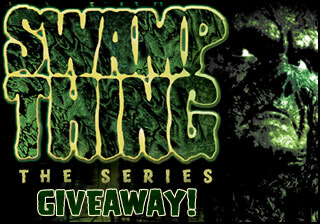 The legendary DC Comics character comes to life to battle evil in the Swamp! 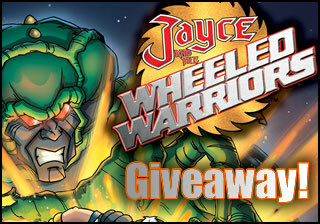 Jayce and the Wheeled Warriors Giveaway! Evil mutant plants, and you can win them! 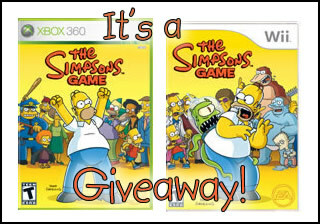 It's a Simpsons Game Giveaway! Of course it is... DOH! 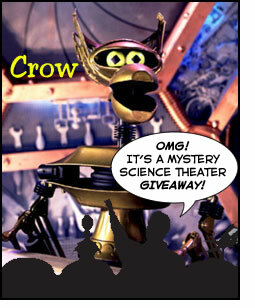 Our 1024 Giveaway, featuring Mystery Science Theater DVDs! Whoa! 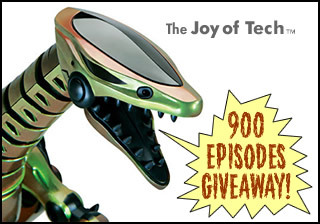 A sarcastic robotic giveaway! Planet Terror DVD and Cherry Action figure giveaway! Whoa! This is one hot giveaway! The Office Season 3 DVD giveaway! WooT! We're at 1000 JoTs!!! Help us celebrate by winning some awesome prizes! Celebrate iCal Day in style!! Create your own iCal Day hat... from a single sheet of paper! 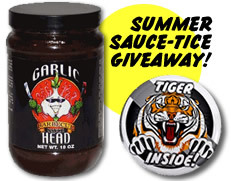 Six jars of the yummy Garlic Head Sauce are up for grabs! 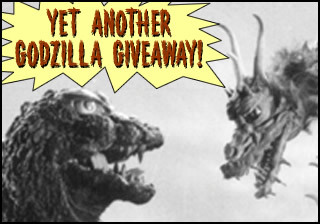 Two sets of two Gozilla DVDs are up for grabs! What a monster of a giveaway! Robotreptile, Pirates of The Caribbean: Dead Man's Chest, and TWO Godzilla DVDs! WOW! All the details are here! 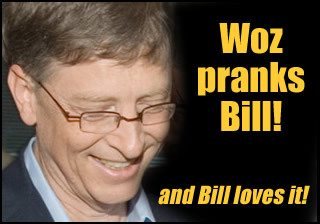 And Bill Gates loves it! 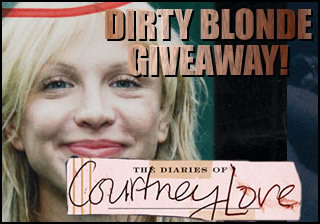 Win Courtney Love's new book... all the juicy details are here! OK geeks... this is the giveaway you've been hoping for! No? Well then, I bet you still want it! All the details are here! 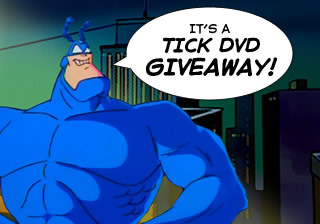 OK Tick fans... this is the giveaway you've been sucking blood for! All the details are here! 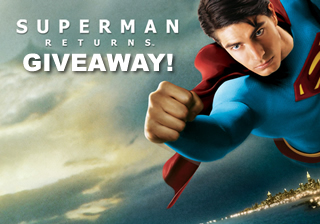 We are giving away two copies of Rhino Records's Superman Returns: Original Motion Picture Score CD, plus more! Details are here! 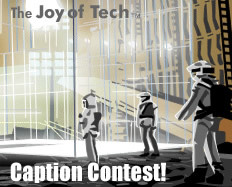 The Joy of Tech's Caption Contest! It's time for a caption contest and thanks to the generosity of our friends at Garlic Head BBQ Sauce, we are giving away some terrific goodness! Garlic Head sauce is handing out the sauce, and we're tossing our hat into the ring too... yep, some lucky winner will win their choice of a TWiT cap or beanie or any one our great Geek Culture headwares! So enter now! Nitrozac and Snaggy build an Apple 1... in edible format! 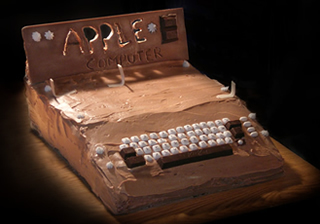 To celebrate Apple's 30th birthday, we decide to bake an insanely great birthday cake! Jumping Steve is an iTunes visualizer with an animated Steve Jobs that will dance to your music! Nitrozac and Snaggy on David Pogue's Macworld Live! 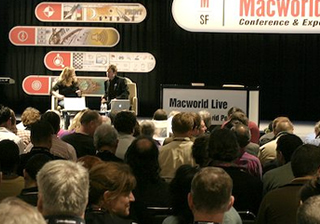 We had an absolute blast while appearing at Macworld 2006. For the pics and story, and a link to a podcast of the show, click here! 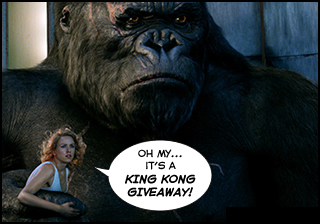 Peter Jackson's KING KONG is almost here, and to celebrate the arrival of the BIG APE, we're giving away a King Kong t-shirt, a King Kong cap and more! Details here! 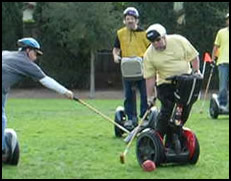 Nitrozac and Snaggy visit a Segway Polo game! 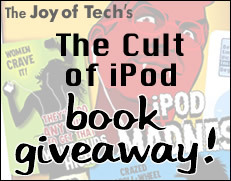 The Cult of iPod book Giveaway! Enter to win a copy of The Cult of iPod, and some Geek Culture goodies like t-shirts and caps! Nitrozac and Snaggy at the UAT's Technology Forum! 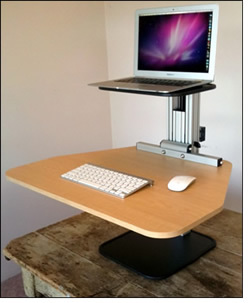 The Joy of Tech's Serenity Giveaway! Serenity, the big screen continuation of the beloved Firefly, opens September 30th! 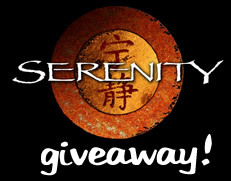 To celebrate, we're giving away Serenity swag and more! 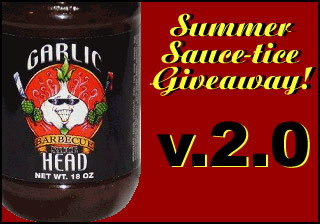 The Joy of Tech's Summer Soltice Sauce-tice Giveaway! It's the start of Summer (at least here in the Northern Hemisphere) and that means BBQ season, and what better way time to celebrate with a saucy giveaway! JoT.. Spiderman's Joy of Tech superthumb widget! A Dashboard widget that shows the current Joy of Tech comic's superthumbnail, with link to the comic! JoT Coffee.. a Joy of Tech widget with random comic! A Dashboard widget that shows the current Joy of Tech comic's thumbnail, as well as displays a random comic thumbnail with links to the comics! 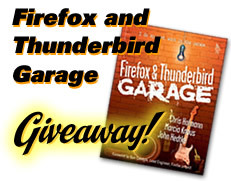 We're giving away three copies of Firefox and Thunderbird Garage! 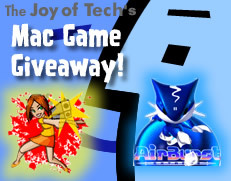 The Joy of Tech's Mac Game Giveaway! This time we're giving away a total of TEN registration for two insanely great Mac-only games, AirBurst Extreme and Kill Monty! 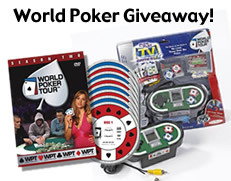 The Joy of Tech's "World Poker Tour - Season Two" Giveaway! This ain't a bluff... it's yet another fun giveaway! 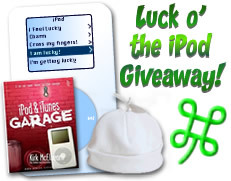 Luck o' the iPod Giveaway! Get lucky with another fun giveaway! 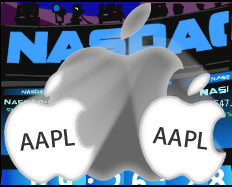 The Apple's Stock Split Giveaway! 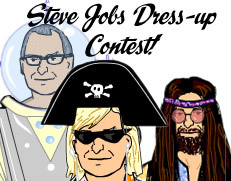 Nitrozac and Snaggy are celebrating Apple's stock split with another special giveaway! The Happy Birthday Mac Giveaway! 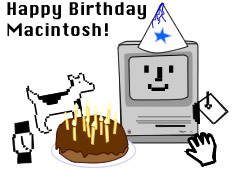 Nitrozac and Snaggy are celebrating the birthday of the Mac with a special giveaway! 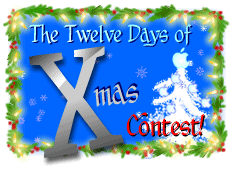 The Twelve Day of X-Mas Contest!! Nitrozac and Snaggy seek creative individuals to win cool prizes! Winners are now announced! Nitrozac and Snaggy help a fan pop the question! 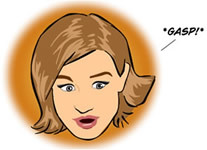 Our collection of avatars made specifically for iChat! We had a great time at MacCenter's Meet and Geek event! See how we use the power of iChatAV to meet with fans across the continent and sign their books! This time we offer our brand of humor and technical know-how to the use of video conferencing technology. We use our virtual book signing events to demonstrate the power of iSight and iChat AV, but our aim is to spark your creative juices to find other ways to apply these technologies, perhaps to connect with friends and family around the world, or perhaps for use in your own business. Just about everyone looks great behind a cursor, but the days of communicating online exclusively with text are numbered. 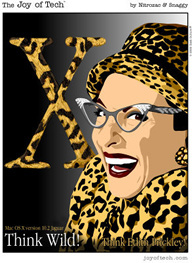 So we offer our brand of advice on how to look great on iChat AV, in spite of iSight. "With tips on proper lighting, camera angles, and using the right foundation, Snaggy and Nitrozac offer more of the high-tech humor you've come to know and love in their comic and in their book, The Best of The Joy of Tech." Follow our step by step directions and make your own Easter Eggheads! 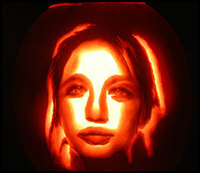 Halloween will never be the same after our Mac O'Lanterns, carved with the faces of some of our favorite icons of tech! Scary!!! 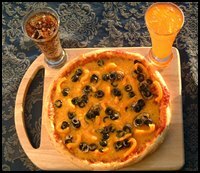 Celebrate the release of Mac OS X 10.2 Jaguar with the ultimate Mac geek pizza! Here's the recipe! 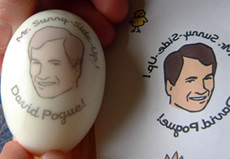 The David Pogue Icon Collection!